180 Gram Vinyl - PINK FLOYD / DARK SIDE OF MOON - Vinyl LP. 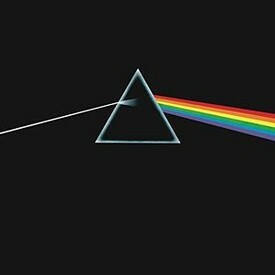 The Dark Side of the Moon is the eighth album by the English rock band Pink Floyd. Originally released on 1 March 1973, on the label Harvest, it built on ideas explored in the band's earlier recordings and live shows, but departs from instrumental thematic by founding member Syd Barrett. The album explores themes including conflict, greed, the passage of time, and mental illness, the latter partly inspired by Barrett's deteriorating mental state. - Developed during live performances, an early version was premiered several months before recording began; new material was recorded in two sessions in 1972 and 1973 at Abbey Road in London. Limited vinyl LP-only pressing of this brand new collection from the British rock legends. 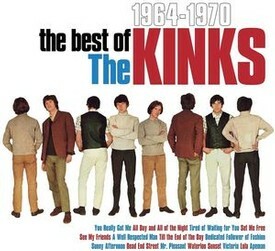 The Best Of The Kinks includes 15 tracks from the years 1964 - 1970. Features the huge US hits "You Really Got Me" (#7), "All Day and All of the Night" (#7), "Tired of Waiting for You" (#6), "A Well Respected Man" (#13), "Sunny Afternoon" (#14), "Lola" (#9) and more. The Kinks were formed in Muswell Hill, North London, in 1963 by brothers Dave and Ray Davies. They are regarded as one of the most important and influential rock groups of the era. The band emerged in 1964 during the height of British rhythm and blues and Merseybeat, and were briefly part of the British Invasion of the US until their touring ban in 1965. Their third single, the Ray Davies penned "You Really Got Me" became an international hit, topping the charts in the United Kingdom and reaching the Top 10 in the United States. Limited vinyl LP pressing. Digitally remastered edition. 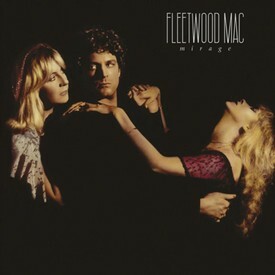 Mirage is the 13th studio album by Fleetwood Mac, released on June 18, 1982. This studio effort found the band venturing further into radio-friendly soft rock than it had in any of it's previous incarnations. It stood in stark contrast to it's more experimental predecessor, 1979's Tusk. Mirage yielded several hit singles: "Hold Me" (which peaked at #4 on the US Billboard Pop Chart, remaining there for seven weeks), "Gypsy" (#12 US Pop Chart), "Love in Store" (#22 US Pop Chart), "Oh Diane" (which reached #9 in the UK), and finally, "Can't Go Back" (issued on 7" and 12" in the UK). Released in 1978, Don't Look Back eventually reached 7 times Platinum. 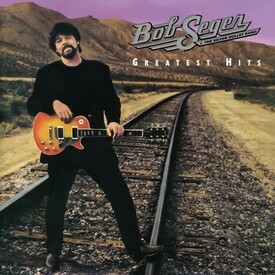 The album contains the radio hit "Don't Look Back", sturdy Rockers like "Party" and "Feelin' Satisfied" and mellow songs like "It's Easy". This stuff is top of the bill and you know it! After four decades of recording a staggering catalog of top charting albums, a plethora of successful worldwide tours and basically the original architects of the prog-rock genre, the makings of their superstar reign began during the recording sessions for masterpiece The Yes Album. 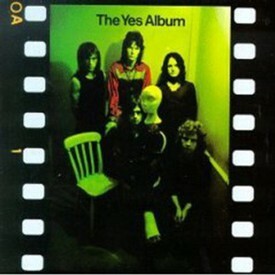 With an ever interesting line-up of world class musicianship, this highly regarded chapter of Yes consisted of Jon Anderson (vocals), Chris Squire (bass/vocals), Bill Bruford (drums), Tony Kaye (keyboards) and the introduction of Steve Howe (guitars/vocals), The Yes Album truly stands as absolutely one of the finest and most revered rock albums of all time. To celebrate the 45th Anniversary of this amazing album, this limited edition masterpiece is housed in a beautiful box set and features a stunning gatefold cover inside, which includes the historic photography of Phil Franks and Jon Goodchild's cover design. Double vinyl LP pressing. 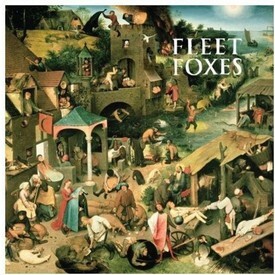 2017 release, the long-awaited and highly anticipated third album from Fleet Foxes. Crack-Up comes six years after the 2011 release of Helplessness Blues and nearly a decade since the band's 2008 self-titled debut. 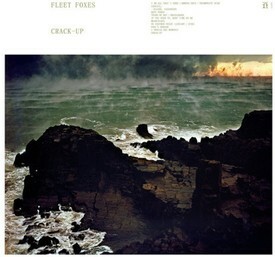 All eleven of the songs on Crack-Up were written by Robin Pecknold. The album was co-produced by Pecknold and Skyler Skjelset, his longtime bandmate, collaborator, and childhood friend. Crack-Up was recorded at various locations across the United States between July 2016 and January 2017: at Electric Lady Studios, Sear Sound, The Void, Rare Book Room, Avast, and The Unknown. Phil Ek mixed the album, at Sear Sound, and it was mastered by Greg Calbi at Sterling Sound. 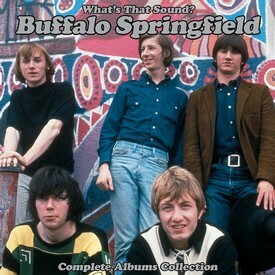 Limited 180gm vinyl LP pressing of the STEREO mix of this classic album. 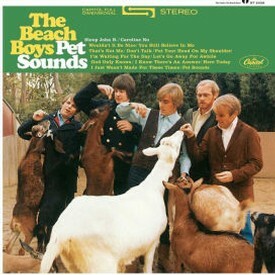 Pet Sounds is the 11th studio album by The Beach Boys, originally released on May 16, 1966. 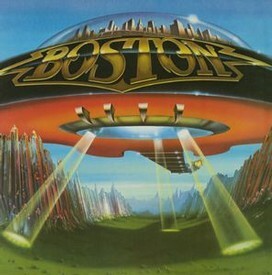 It initially met with a lukewarm critical and commercial response in the United States, peaking at #10 in the Billboard 200, a significantly lower placement than the band's preceding albums. In the United Kingdom, the album was hailed by it's music press and was an immediate commercial success, peaking at #2 in the UK Top 40 Albums Chart and remaining among the top ten positions for six months. Pet Sounds has subsequently garnered worldwide acclaim from critics and musicians alike, and is widely considered to be one of the most influential albums in music history.